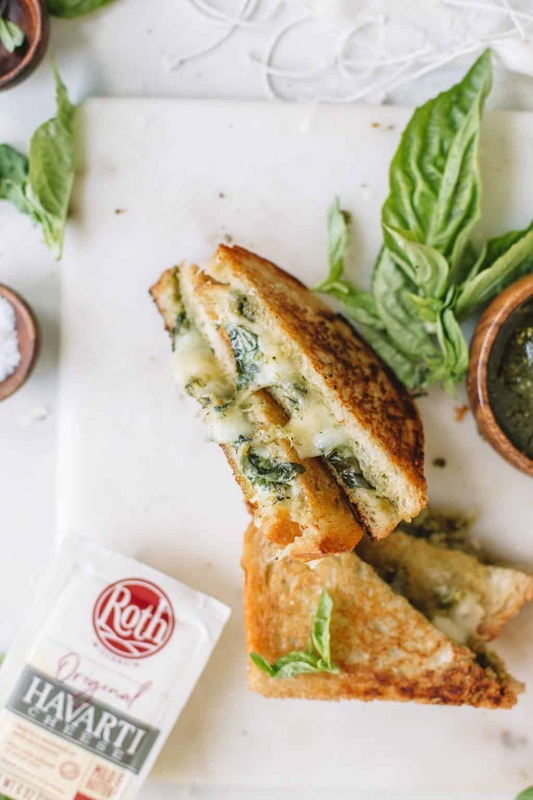 An extremely, melty, garden pesto grilled cheese situation is happening today to celebrate National Grilled Cheese Day with Roth Cheese! A big thank you to Roth Cheese for keeping The College Housewife up and running, all opinions expressed are my own! For the last few weeks Jared and I have added a little something different and fun into our normal routine. 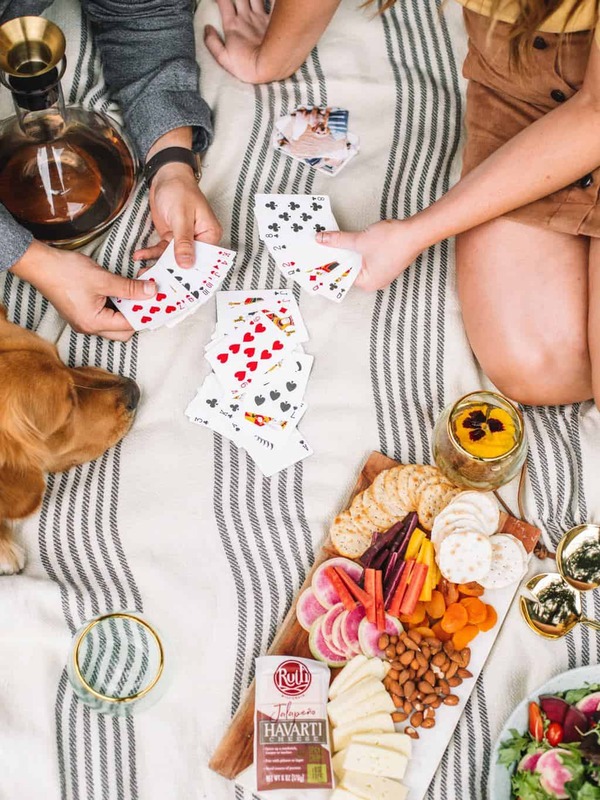 We get so tangled into our work lives, Rascal, house projects and everything in between that it’s hard to find a moment for ourselves that doesn’t involve a screen. Are you wondering what the heck it is?! It’s a deck of cards! Jared has been playing the card game ‘Gin’ on his phone for a few weeks and he had been asking me to sit down and play with him after dinner for all week. I kept saying I wasn’t really into it and mostly just wanted to get caught up on instagram for the evening. We had a little tussle one night about something stupid and I remember it being my fault. With my tail between my legs, I asked him if he wanted to finally play a game of Gin. I broke out a little cheese and crackers and he refreshed my memory of the game (I used to play with my parents). To my surprise I had more fun in those two hours than the entire week. It was a little competitive, great to be doing something new and a sweet way to connect with another over something totally different than our normal routine. 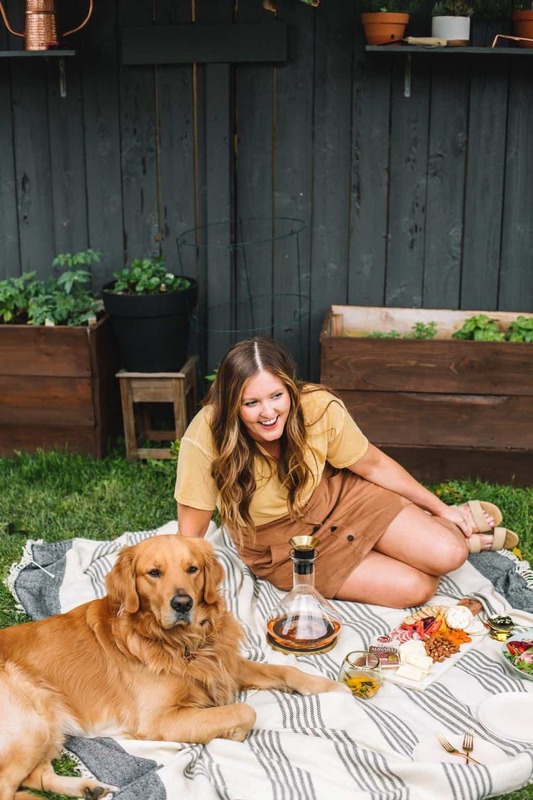 Last month when I went on my planting binge in the backyard I made it a apparent that we stop for a little sandwich and play 3 rounds of Gin. Jared and I both enjoy being competitive now and then (okay, I’m competitive all the time) so it’s been interesting! 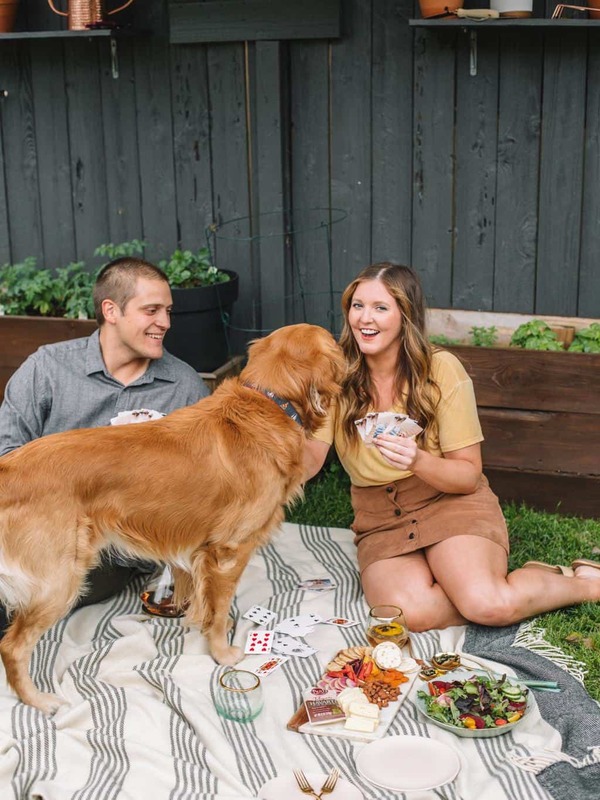 Now that the weather is warming up we have been changing up date night at a normal restaurant to a fun little evening in the backyard. Sometimes I’ll go all out and set up a nice table. 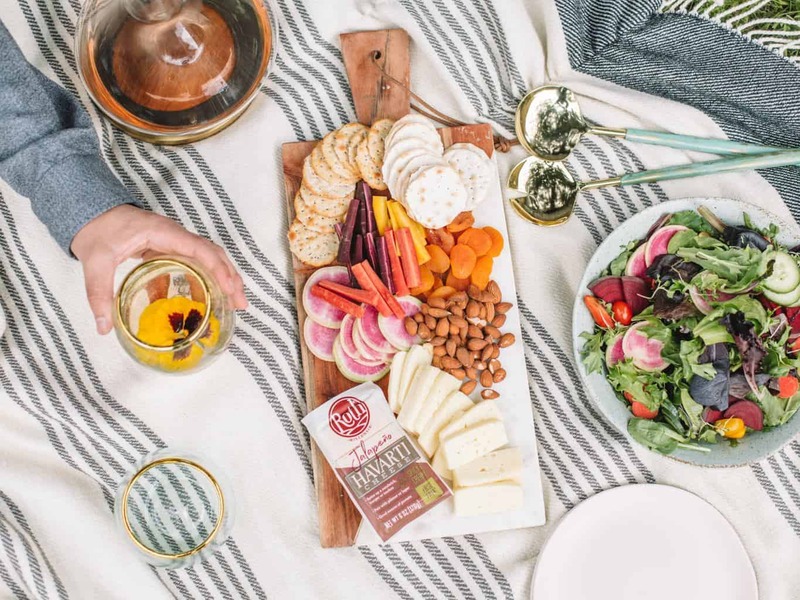 Other times when I’m feeling a bit lazy I’ll whip up a great cheeseboard, open a bottle of rosè and make us a grilled cheese. Jared’s birthday weekend was last week and the man loves a sandwich. He has also recently said that stopping for an afternoon meal and playing a few rounds of Gin is one of his favorite things these days. 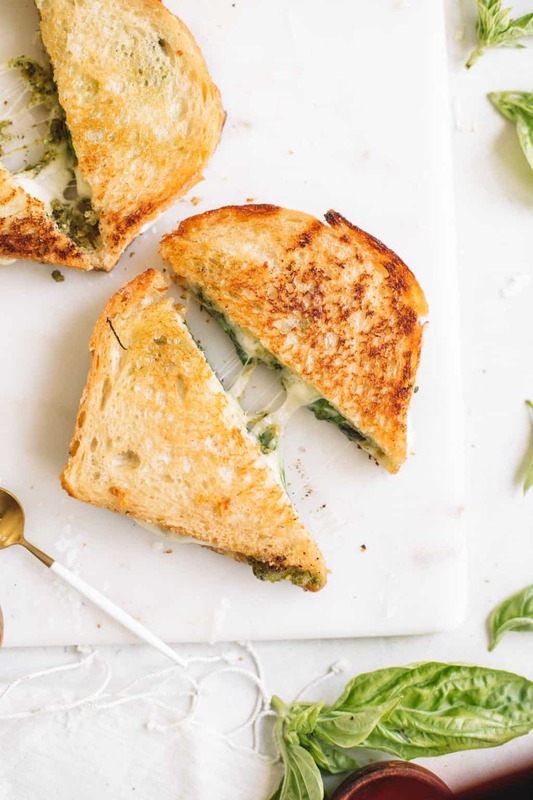 When Roth Cheese reached out and asked if I wanted to celebrate ‘National Grilled Cheese Day’ with them the answer was a definite, YES with a Garden Pesto Grilled Cheese! I’m not one to mess too much with a classic but I can’t keep up with all the basil coming in the garden (felt so Martha Stewart when I said that!) 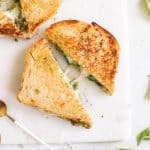 so I decided to add in a few tablespoons of pesto to this Garden Pesto Grilled Cheese. 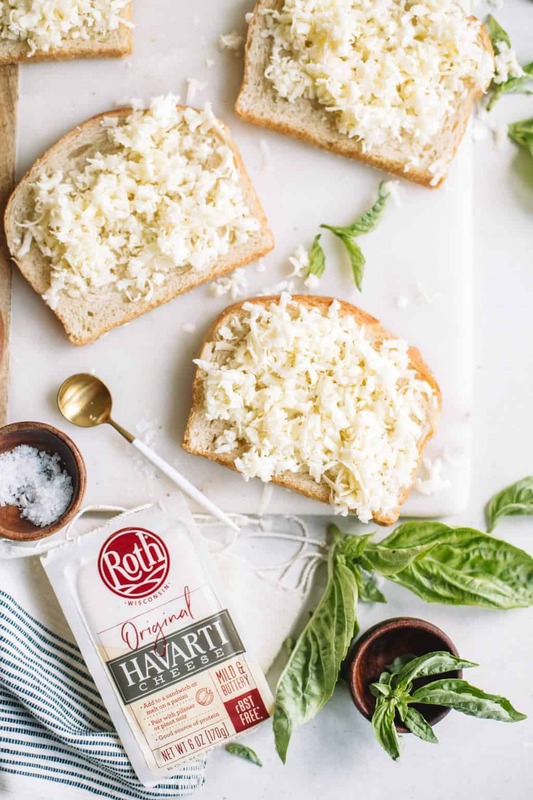 Sandwiched between two fresh sourdough slices is grated Roth Havarti Cheese, pesto and a whole lot of butter! I love using havarti in grilled cheeses because it melts so perfectly. 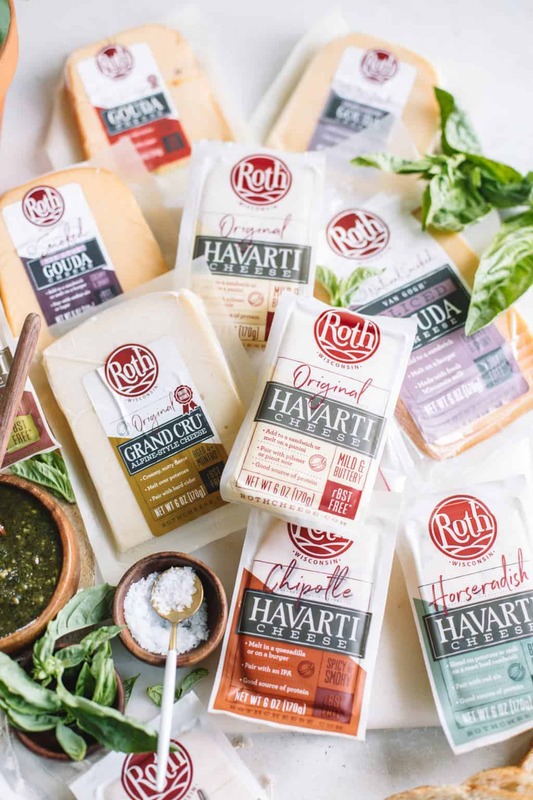 Roth has a great selection of traditional cheeses and funky flavors! My next grilled cheese adventure is totally going to include their chipotle havarti cheese with sliced avocado! You an see what grocery stores carry which cheeses here! A few tips for making an epic grilled cheese! -The best cheeses for optimum melting are havarti, gouda, cheddar, mozzarella and gruyère. For super even melting, grate the cheese before adding it on to the bread! 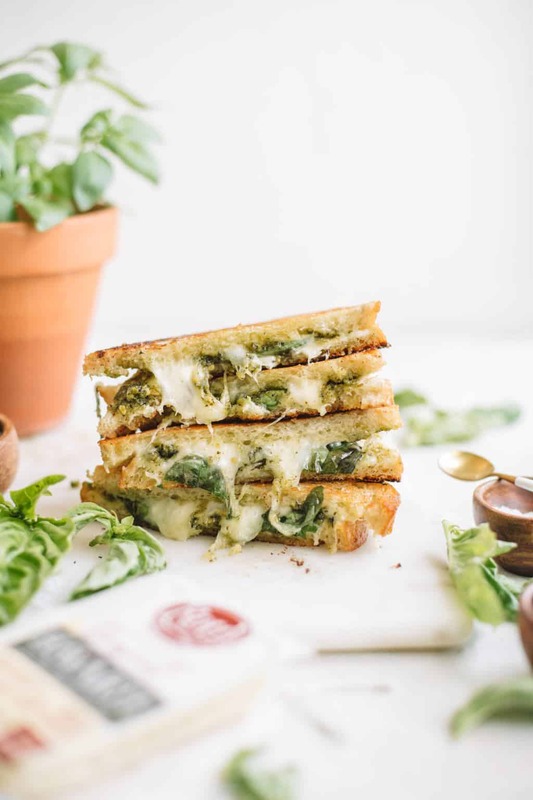 -A heavy cast iron pan will help brown the outside of your grilled cheese more evenly and ensure a rich golden color and crunch! On a large cutting board, spread an evenly layer of unsalted butter on outer sides of sourdough bread. Sprinkle on shredded Havarti cheese onto both sides. Add half of pesto to two slices and squish slices together. Sprinkle with a little salt. In a medium cast iron pan add in a tablespoon of butter on medium heat. Add in sandwiches and cook for 2-3 minutes on each side or until golden brown.